Vice- President Saulos Chilima has finally broke the silence on the growing calls to contest as presidential candidate in the next year’s tripartite elections. Chilima who was guest of honour during celebrations marking 50 years of St Kizito Minor Seminary in Dedza on Saturday, while being cautious he said time will come to properly comment on the calls. “Ndidzayankha ndikamva kuitanidwa kachitatu (I will respond after the third call). Mphira sakokera pakamwa. Idzayamba kukupweteka mlomo,” said Chilima. He said his ‘first calling was in Ntchisi’, referring to the Catholic Church event in Ntchisi, where he condemned corruption in government. The Vice-President added that his being invited to attend on Saturday’s event was the ‘second calling’. “When you call me for the ‘third time’, like Samuel, I will respond,” he said, as the crowd cheered. There have been calls for Chilima to speak out on his stand in regards to the calls which are being championed by some senior members of Democratic Progressive Party (DPP) labelled as Chilima Movement. And Dedza Diocese of the Catholic Church on Saturday echoed the calls by advising Chilima to seriously consider and act on people’s calls for him to serve them in different capacities in the society. Dedza Catholic Diocese administrator Father John Chithonje said like the biblical Samuel, time had come for Chilima to respond to calls for him to serve. “Of course, we don’t know God’s plans for you. But if there are calls for you to serve in any capacity and position, please vie for it. Accept the call to service. Like Samuel, please respond to the call to serve,” he said. Chithonje emphasised that Chilima has demonstrated the qualities of a leader, the comments that delighted Chilima’s sympathisers who were present at the event. The supporters clapped and ulutated as Chithonje stressed the need for Chilima to seriously consider responding to the people’s call to serve in the capacity they would want him to. “Ngati mkumva kuti Mulungu akukuitanani, vomerani kukatumikira (If you feel that God is calling you to serve, please accept). Our duty will be to pray for you,” he said. Head of the Archdiocese of Lilongwe, Tarcizius Ziyaye, commended the Veep for his unwavering support to the church. Ziyaye said Chilima is among few high ranking Catholics who have continued to render their service to the church. “Some think you have been active in church matters because you are the Vice-President. “But I have, since time immemorial, known you as a devoted Christian. And you don’t choose which diocese to support. All the eight dioceses enjoy your support,” he said. kulipo kumuonetsa munthu ngati akukondedwa ndi anthu ambiri koma alipo ochepa anthu odziwa kulongolora. The man was silent why? mwina samafuna tisamale nao awa akuoneka ngati ochengerawa chifukwa amakhala ali ndizao izo akufuna kuseri kubisalira kuseleri kwa munthu wa bwino bwino pa mawa adzatembenukansotu awa. It’s dangerous for a church to be seen backing indirectly a presidential candidate of their church for that matter. 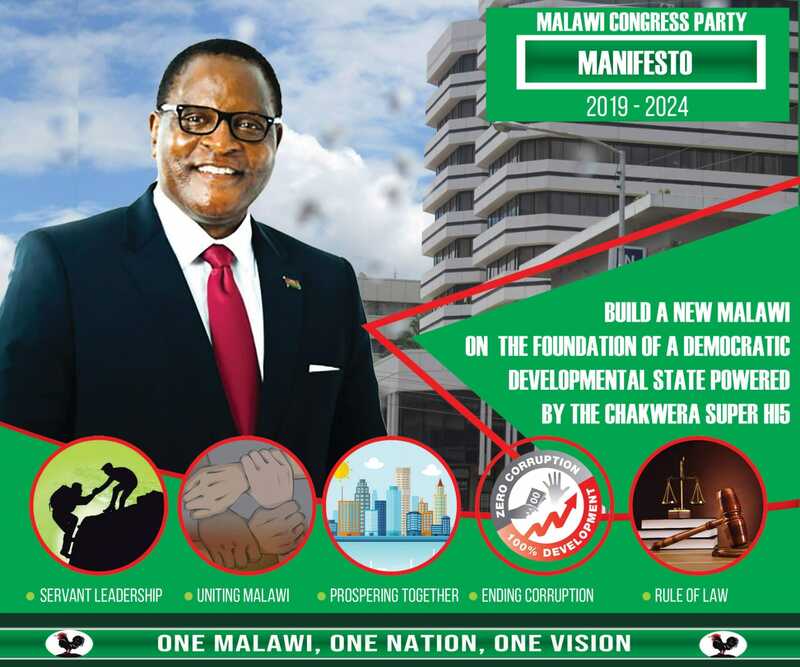 If Catholics will rally behind Chilima what will prevent the Bt Synod rally behind Muthalika, Nkhoma Synod and Pentecostals behind Chakwera and Muslims behind Muluzi? We are watching if the “third call” will come at another catholic function. Catholics is not siding with Chilima but they are asking him to respond to the stories that are going around.Mind you its not the Catholics who wants Chilima to stand as a president.So please don’t misenterpret the story here. Infact yes Che Wanimilliyoni, you are right with your observations, this is what is happening. Tikungoyang’anatu ife. Mr Chilima’s silent play is doing a great damage to the party which is his only passport to fulfilling his ambition of being the state of this nation. Is BWANA CHILIMA truly being liked by MALAWIANS or part of DPP? The Catholic Church better be neutral on this issue lest it is construed to be the architect of the troubles in DPP. We want a leader not a church impostor. SKC ,this is not ” calling “..listen to God not man voices….